Congratulations to the following players for being selected to the SFCUSL National Tournament Team. If your name is listed below, you must email your confirmation to sfwlax@gmail.com by midnight tonight. Alternates must also confirm their participation on the team. Team members and alternates will receive more information on Monday, May 7. Thank you to everyone that participated and those that volunteered today. #11, Angela Benson, Martin County, Fr. #10, Hayley Ciklin, Benjamin, So. #12, Morgan Falkenhagen, Saint Edward’s, So. #14, Alexandra Gershman, Pine Crest, Fr. #15, Katelin Glass, Park Vista, Jr.
#23, Carli Marsh, Douglas, Jr.
#31, Meredith Baker, Vero Beach, Jr.
#32, Christiana Butz, Saint Edward’s, So. #37, Jasmine Docal, Pine Crest, Jr.
#39, Cailyn Doyle, Pope, Fr. #49, Ashley MacIntyre, Vero Beach, Fr. #51, Bailey Mathis, Park Vista, Jr.
#53, Allison Modica, Vero Beach, Jr.
#55, Marissa Boye, American Heritage, Jr.
#56, Hannah Palau, Vero Beach, Fr. #59, Olivia Rossnan, Park Vista, So. #62, Caroline Smith, Martin County, So. #66, Olivia Blakeman, Saint Edward’s, So. #80, Jasey Sanders, Palm Beach Central, Jr.
#83, Hannah LaBovick, Benjmain, So. Alternate: #25, Lauren Morando, St. Thomas Aquinas, So. Alternate: #79, Quinn Roe, Martin County, Fr. Alternate: #48, Emily Kowalik, Pope, Fr. Alternate: #78, Nancy Benedetto, Jupiter, Fr. 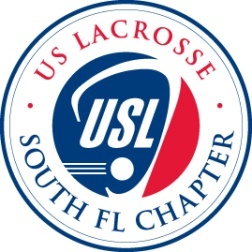 On May 12th, we will host a wonderful evening where we come together, off the field, to celebrate South Florida's lacrosse community! 2012 Inductees, our High School All- Americans, and High School Academic All-Americans will be honored. We will also pay tribute to those earning Sportsmanship awards and those honored as Coach of the Year and Person of the Year. This special evening will take place at Marriott North Ft. Lauderdale. To register, receive discounted hotel rates, or find out information about advertising in our program, go to http://events.constantcontact.com/register/event?llr=dl5lnihab&oeidk=a07e5sahegac9c1e59f. Be sure to register by May 1 for the discounted rate. We look forward to welcoming you to our special event. Congratulations to the 2011 State Champions!! !